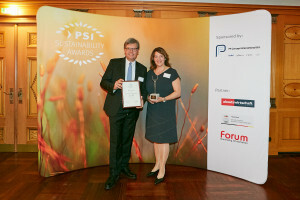 For the fourth time the PSI Sustainability Awards were presented during a gala at the Wiesbaden Kurhaus on the evening of 7 September. For the first time, the award ceremony was preceded by the PSI Sustainability Summit – an exchange between the promotional products industry and business representatives under the guiding theme “Future-Proof Supply Chains”. The event was attended by 50 delegates in total. Watch also the Photo Gallery. Winner: Karl Knauer KG. The Economic Excellence category of the PSI Sustainability Awards is about companies’ quality management. Karl Knauer took the lead here with the comprehensive documentation of what truly is a quality offensive. The foundation of this quality management simultaneously forms the basis for a top-class performance set in environmental and social management, as shown by the current and forward-looking sustainability report. Winner: Karl Knauer KG. When it comes to Environmental Excellence Karl Knauer also accumulated the highest score with their environmental management certificates and have therefore taken home the Environmental Excellence trophy. The current certificates and audits for climate and environmental management as well as a responsible use of resources all point to a company at the cutting edge of ecological-entrepreneurial environmental policy. Winner: Halfar System GmbH. Working conditions at production sites are at the centre of the category Social Excellence. Here, it was Halfar Systems that asserted itself. Only a few companies have succeeded in merging family-friendliness, inclusion and integration with their corporate DNA over their company history. With its entries, Halfar has documented Social Excellence once more most impressively as a never-ending mission that always has to be made transparent. Winner: BIC Graphic Europe S.A. The company has launched the “School Success” initiative with the aim of reducing the number of school drop-outs. The successful education promotion initiative focuses on vulnerable children in the Spanish province of Tarragona and provides support for a better quality of life, learning, food and personal development. The jury was impressed with the “extensive support programme on all relevant levels and their joined up, targeted approach” therefore opting in favour of BIC GRAPHIC in this category. 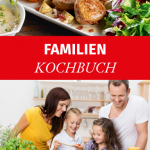 Winner: Zettler Kalender GmbH. A set of agendas made of paper consisting of 50% sun-dried grass: this is the award-winning product in the category Sustainable Product – Product Set. With the “Gras” agenda series comprising one desk-top, one pocket agenda and one agenda book, Zettler Kalender wins the third consecutive award at the PSI Sustainability Awards. 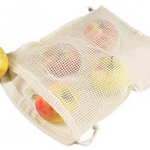 The product is FSC-mix and ISEGA-certified, fully recyclable and compostable and ISO certified. The jury especially praises the use of a renewable energy and resource-saving raw material for a refreshingly innovative series of agendas. Winner: werbegrün – Mappen | Verpackungen. Werbegrün wins with its packaging line “Faltschachtel Werbeartikel”. Still young, the company largely foregoes synthetic materials for producing its folding box line. The efforts range from the use of vegan adhesives to organic printing inks. This complex and thoroughly researched product line boasting many sophisticated ideas, standard sizes, custom-designs and small-run options met with the jury’s undivided approval and therefore received the award in the Sustainable Product – Product Line category. Winner: Senator GmbH. Senator triumphs in the category Sustainable Product – Writing Instrument with a ball pen made of sugar cane. The organic plastic used for “Skeye Bio” is based on PLA and, hence, on resource-saving sugar cane. The ballpoint pen is manufactured 100% at the Groß-Bieberau premises powered with green electricity. In terms of the tooling required, most tools are made in Germany or even by Senator’s in-house tool shop, and designers predominantly draw on existing tools. The jury specifically praises the consistent look and feel, the appealing touch, the long-life refill as well as the ecological overall concept that goes far beyond the material proper. Winner: Bags by Riedle. Carrier bags that smell of grass: this idea convinced the jury in the Sustainable Product – Paper category. The paper carrier bag “Riedle TopLuxe / Nature” consists of 50% sun-dried grass and 50% customary wood-free FSC pulp. Compared to waste-paper based materials the production of grass-based pulp consumes 1.5 times less energy. On top of this, emissions are reduced to 77%, 4,500 times less water is consumed and the acidification potential is five times lower. The bags are also rated as fully recyclable. “The outstanding ecological benefits of grass paper were documented very well and convincingly,” explains the jury awarding the prize to the company. Winner: Join The Pipe BV. The company wins in the Sustainable Campaign category with a reusable bottle produced and also filled with tap water locally. This first community of tap-water drinkers aims to distribute water more fairly and to reduce plastic waste by using reusable rather single-use bottles. The winning product is made of HDPE plastic. Thanks to the long service life of this plastic the bottles can be used life-long in developing countries without requiring waste management. “Think global – act local! The City-Bottle campaign has all it takes to become a global evergreen,” the jury finds. Winner: Karl Knauer KG. The award ceremony culminated in the selection of the overall winner arrived at by adding up the points scored in the 7 individual categories. As early as 2016, Karl Knauer concluded Category 8 as the overall winner of the PSI Sustainability Awards. And this year again sees the company as Sustainable Company of the Year 2018 “with its exemplary linking of the three pillars and its cutting edge documented operational excellence,” explains the jury. Winner: CD Werbemittel Vertriebs GmbH. This year sees the debut of the Special Award for the Sustainable Distributor of the Year. 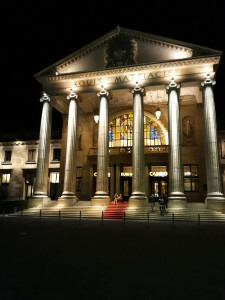 CD Werbemittel managed to convince the jury not only with its award-winning performance in Category 4 – Environment Initiative – but also with its social commitment. With its entries, it achieved award-winning levels in the three fields of sustainability and therefore takes this Special Award. Sustainable products recommended by PSI are products that the jury members would personally recommend. This year recommended products include the Green Coin, a trolley coin made of FSC-certified wood, by e+m Holzprodukte and the baza Kubusgarten by KW Open promotion consulting & trading. The latter is an organic plant system that contains organic soil, organic seeds and cultivation instructions. The granola cup made of brown cardboard by Jung Bonbonfabrik as well as the PowerCube Extended Monitor by PowerCubes are also recommended by the jury. The PowerCube Extended Monitor shows where energy is wasted unnecessarily and translates this consumption into a money value in order to impact consumer habits immediately.